To report the identical twins who had mirror fundus and angiographic images of familial exudative vitreoretinopathy (FEVR). 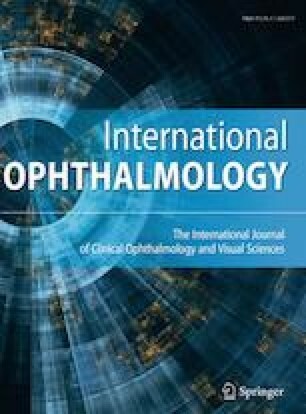 A pair of 16 year old female twins presented with mirror-image asymmetry of monocular decreased vision. The twins were born full term with normal weights. Neither twin revealed any medical disorders during childhood and there was no known family history of ocular disorders. On ocular examination, the best corrected visual acuity (BCVA) was 20/20 in OD and 20/63 in OS for twin 1. For the twin 2, the BCVAs were 20/63 and 20/20 for OD and OS, respectively. Intraocular pressures were within normal limits and anterior segment examinations were unremarkable for both twins. Dilated fundus examinations and angiographic images revealed characteristics FEVR appearance with mirror image phenomenon in the twins. This is the first report describing identical twins with mirror images of FEVR. This report may confirm a strong underlying genetic inheritance in the pathogenesis of FEVR. All authors certify that they have no affiliations with or involvement in any organization or entity with any financial interest or non-financial interest in the subject matter or materials discussed in this paper. Informed consent was obtained from all participants included in the paper.